A trustworthy, reliable flat iron that won't burn or damage your hair is an absolute essential for the curly-haired among us. The ideal flat iron allows you to speedily straighten and style curls with just a few passes, and at the lowest possible temperature. Quality is key - most budget flat irons will burn and tear your hair due to low-quality plate materials and poor temperature controls. That doesn't mean you have to break the bank - we've picked a range of the best professional-quality flat irons available in 2017 for various budgets and hair types below. Several significant price cuts from Cyber Monday are still in effect, including the best deal we've ever seen on our Best Professional Salon Speed pick below. The BaBylissPRO is our top performance choice on the flat iron market, reliably delivering professional salon-level smoothness via pure titanium plates without damaging hair. It's on the pricier side due to its best in class titanium plates, but comes in far below other top-line salon models of its kind. Titanium plates are known for producing extremely sleek-looking results, and when paired with the BaBylissPro's ionic frizz-reducing technology they are able to tame the thickest and coarsest of manes. 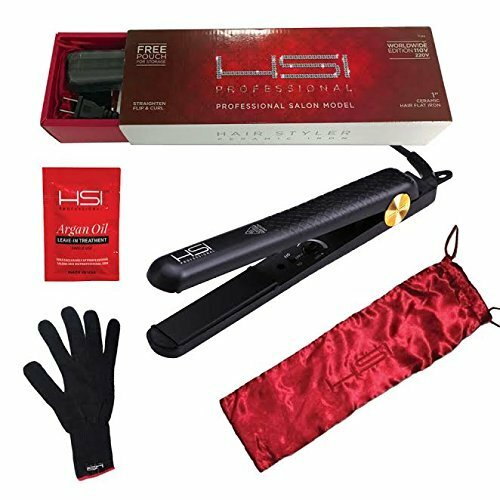 HSI's Professional Ceramic Tourmaline Flat Iron is by far the best value on the market, and the only flat iron we'd even consider in the budget category. It packs many professional-level features into an affordable package, though we find it performs much more reliably for fine vs. thicker hair. The HSI Professional sports high-quality ceramic tourmaline plates and ionic-powered frizz reduction at the lowest price we've seen, meaning it can create a refined and upscale look without breaking the bank. It comes with a travel bag and protective gloves, and tens of thousands of glowing reviews confirm its status as our best overall value. 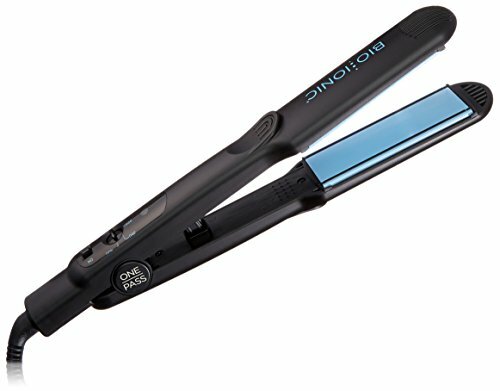 The Bio Ionic Onepass Straightening Iron is the most high-end and expensive iron on our list, but worth every penny due to its tangle-free speed and single-pass effectiveness. It is a favorite of professional stylists, and worth the cost of upgrading over the BaByliss Pro if you're a time-pressed regular user. The Bio Ionic's plates are ceramic but have a silicone covering that make it effective at passing quickly through hair without snagging. The silicone makes it truly effective at straightening in one pass, unlike other flat irons that only claim to do so. It uses negative ions that break down water molecules to fight frizziness and seal in moisture. 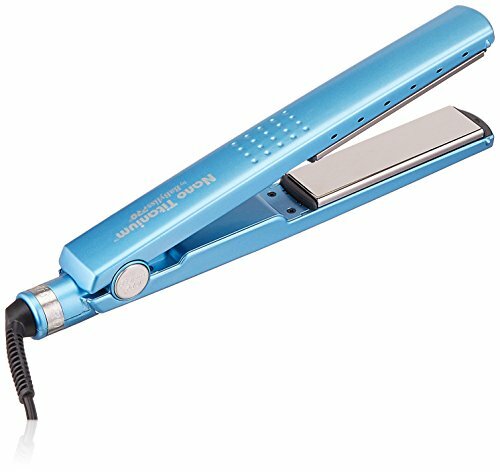 This decently priced mid-range model is particularly useful for those with coarse, hard to tame thick hair who don't want to pay up for the BaBylissPRO or the Bio Ionic. This flat iron from Rusk Engineering uses ceramic plates with a Sol-Gel technical coating that makes it easier to maneuver the flat iron through your hair and pull it smoothly without catching or tangling. 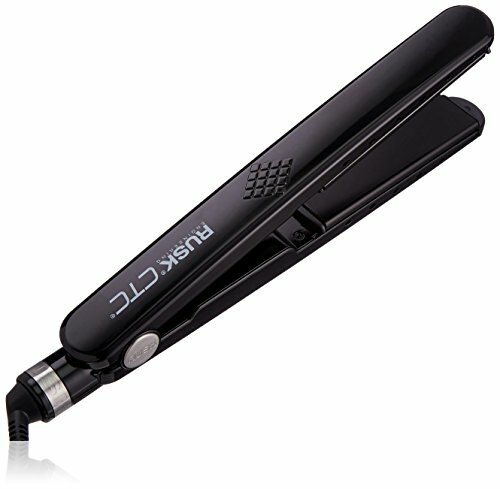 This gliding action helps keep thick hair soft and sleek despite straightening it at heat of up to 450 degrees. CHI is a renowned luxury beauty brand and its flat irons are known for being among the first on the market with high quality ceramic plates. 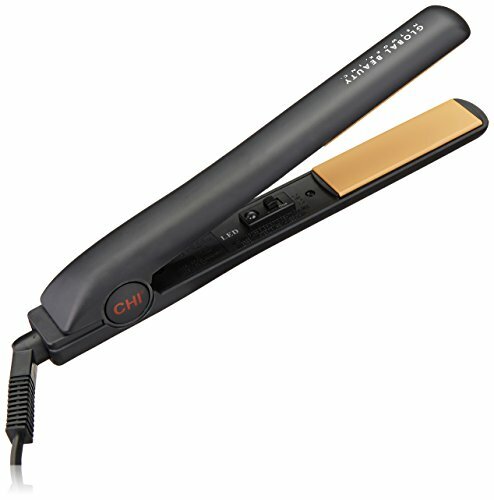 The CHI Original 1" Flat Hair Straightening Iron is a mid-range model that will do the job for loyal CHI buyers. The ceramic plates have extremely reliable heat distribution. That said, the CHI Original takes a long time to heat up vs. other new irons, and a design flaw means they can overheat their outer plastic casing, which can hurt your hands. Some recent buyers have reported quality issues, with a few saying their models stopped working after less than a year.